Wanda Chin is the Chief Credit Officer at CPC and is responsible for the credit and risk management functions of the corporation. Before joining CPC in July 2014, Ms. Chin served as the Chief Credit Officer of The Low Income Investment Fund, a not-for-profit community development financial institution that provides capital for affordable housing and other community development projects. 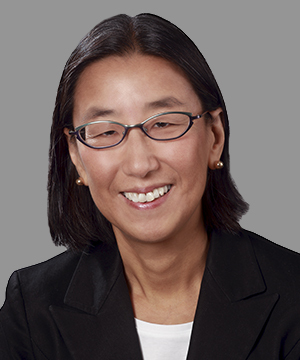 Prior to that, Ms. Chin had a 30+ year career at JPMorgan Chase Bank, where she served as the Senior Credit Executive for the northeast region of its Commercial Real Estate Banking division. Ms. Chin earned a Master’s Degree in City Planning from the Massachusetts Institute of Technology, and received a Bachelor of Arts in Urban Studies and Political Science from Barnard College. Ms. Chin serves on the Board of Directors of the Queens Library Foundation, The Historic House Trust of New York City, and is the Co-chair of the Scholarship Committee for the WX New York Women Executives in Real Estate.